Fishing was pretty d*** good today! We fished dries through the cloud cover this morning, nymphed through the heat of the day, and slammed big drakes into the back eddies when the clouds rolled in. Found a lot of fish looking up between the lightning strikes! New Name and New Website! A great big thank you to David Thompson and his great crew at Brickhouse Creative for designing and creating Big Hole Lodge's new website! Come check us out and tell your friends! The warm weather last week brought the water up and discolored it a bit, but as you can see from the chart below the cold weather this week has halted the snow melt. I expect this even plateau in cubic feet per second to continue through the weekend. It's going to be cold today but it will warm up to the 40's and 50's Saturday and Sunday. Because the water got so cold last night, fishing will start later today. I recommend skwala nymphs and streamers in the morning when the water is cold and skwala dries in the afternoon as it warms up. Fishing has been hot this week so get out there! 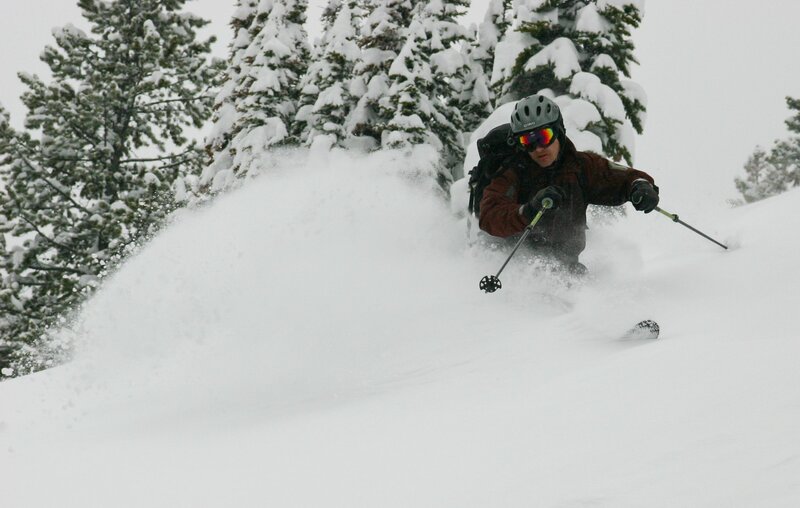 The ski lifts are closed throughout the state but it just keeps dumping in the mountains! Back-country skiing continues to be deep and rewarding! After four days of steady increase in water level, the Big Hole is coming back down a bit. The forecast through the weekend is for snow showers and cool temperatures so the river will continue to drop and clear as long as we don't get heavy rain tomorrow. If you can handle the cold, skwalla patterns and streamers ought to work well out there. Last summer Linda Windels arrived at Big Hole Lodge with a truckload of luggage. I met her in the parking lot and asked, "How long are you planning on stayin?" She smiled somewhat mischievously as she reached for a large duffel, unzipped it and presented fly box after fly box of beautiful patterns. She had a terrestrial bag, a nymph bag, a may-fly bag, and in each were boxes dedicated to specific patterns. She even had boxes dedicated to certain colored flies. It was unbelievable! Even more astonishing-- she tied each one herself. Having her in the boat was like having a floating fly shop, I was able to tie on flies I'd never seen but wished I'd always had. To that end, Linda has jump-started me into the world of fly tying this winter. She sent me her first vice, a dozen or so recipes with example flies and directions, and this weekend she invited Dad and I to her hometown of Idaho Falls for the famous East Idaho Fly Tying Expo where I took a full day course in fly tying. Since 1994, the East Idaho Expo has grown from a small showcase of local fly tyers to one of the largest and the most respected shows in the country. Today you can still find the top local talent tying area appropriate patterns, however the Expo now attracts the best tyers from around the country and the world. Over the course of the two-day event one can witness the best in the business demonstrate their own styles and techniques for tying trout, salmon & steelhead, bass, salt-water, still-water and exotic flies. My class was a basic course taught by Stefanie Jones, former commercial tyer for Rainy's Flies. She put herself through college tying and eventually oversaw the Rainy's factory in Thailand. She has taught college tying courses and numerous beginner level courses and is a regular tyer at many Expos around the West. I learned a lot from her class and have been tying all weekend back here in Wise River. I can't wait to get out and see if a fish will even consider my work! In other news: No fishing this week for us, the warm weather over the weekend brought the low snow down and there is only about a foot of visibility in the Big Hole. Currently, it is snowing hard outside with snow in the forecast all week. We leave at the crack of dawn tomorrow for the Orvis Guide Rendezvous in Casper, WY to play with new gear. We are hoping to get into steelhead fishing in the near future so Dad and I are taking a spey casting class while we are there. Ski boots or waders this week? Here at the lodge we have three feet of snowpack in the front yard and it's not even April, the wettest month of the year! According to the Natural Resources Conservation Service, Montana's mountain snowpack continues to rise above average for the fourth consecutive month. Statewide mountain snowpack is 113 percent of average and 165 percent of last year at this time. In addition, the U.S. Climate Prediction Center forecasts a cooler, wetter weather pattern throughout the spring in Southwest Montana with above-average precipitation from April 1 to July 31. Typically, the weather warms up in late May bringing down the snow and the rivers reach their crests by early June. However, with cooler daytime temps and nighttime freeze cycles, the runoff should occur more slowly and evenly into July this summer. 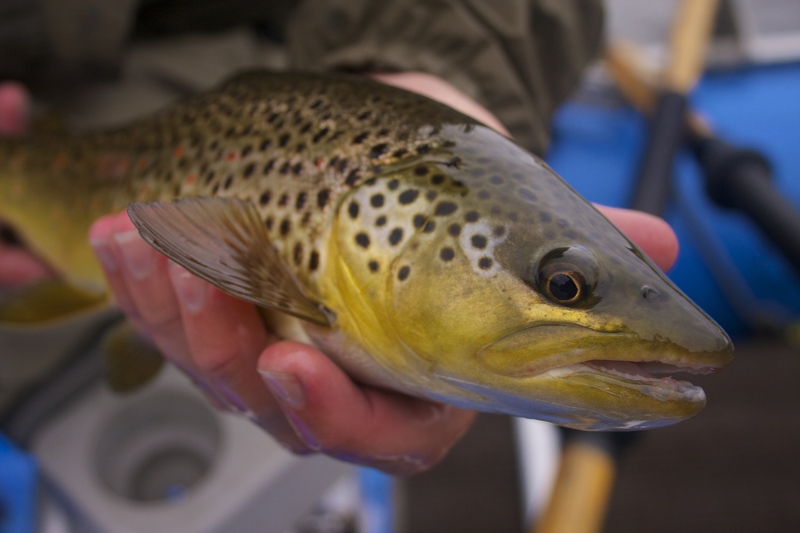 This is great news for the fish, the rivers, and the entire Montana ecosystem. I expect our hatches to be pushed back about a week, as we saw last year. 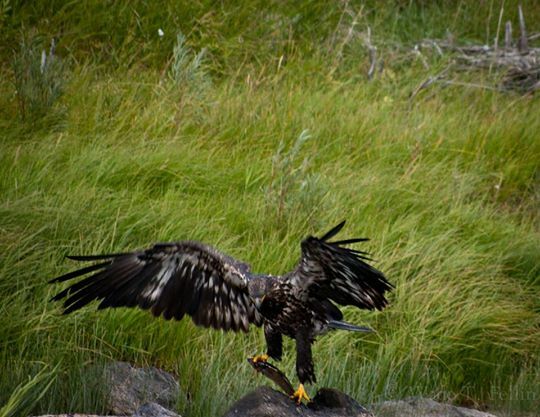 This means the salmon flies and yellow stone flies could last well into July! As long as it doesn't come out of the mountains all at once it is great news for the fishing community as well. Anticipation is growing around this year's trout population on the Big Hole River. After three plentiful water years, the Big Hole's habitat has rebounded from the droughts of the early 2000's, which left the river dewatered and deoxygenated when temperatures climbed in mid July. According to local biologists, the fish are looking great! The larger size class structure is rebuilding and they are seeing more 18+" range fish, as well as a very encouraging rise in numbers of smaller fish in the lower river. 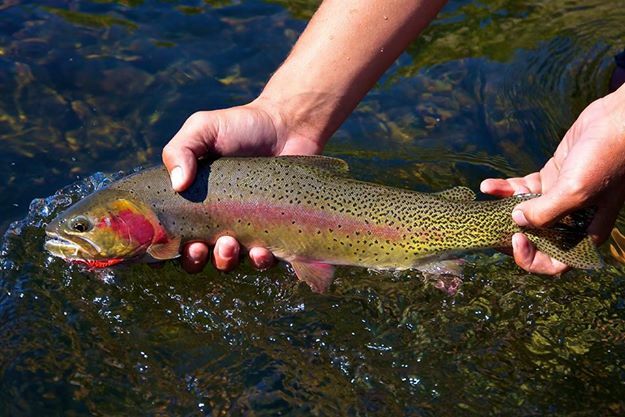 In the Jerry Creek section alone there are over 3,500 wild browns and rainbows! 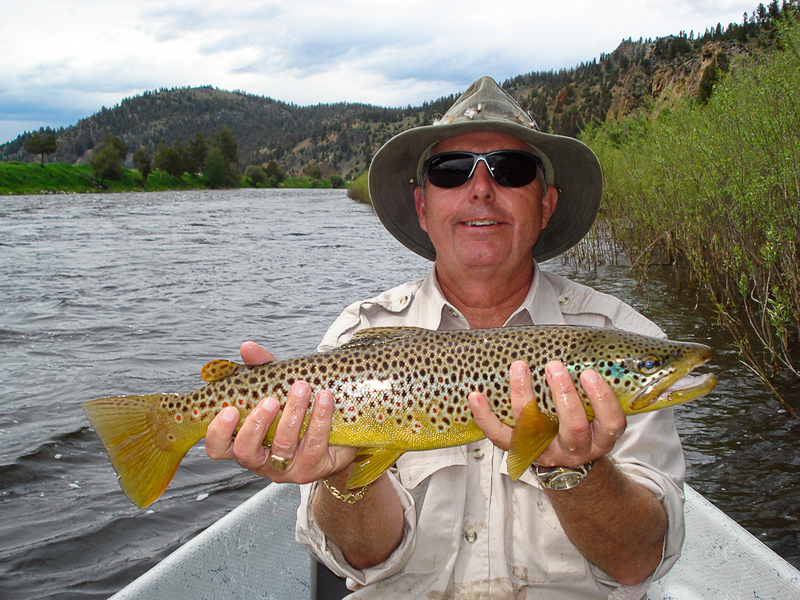 Jim Olson, the Big Hole River biologist says, "Things are looking good!" So, empty the camera memory cards and check the drag on your reels, it's going to be a summer to remember! 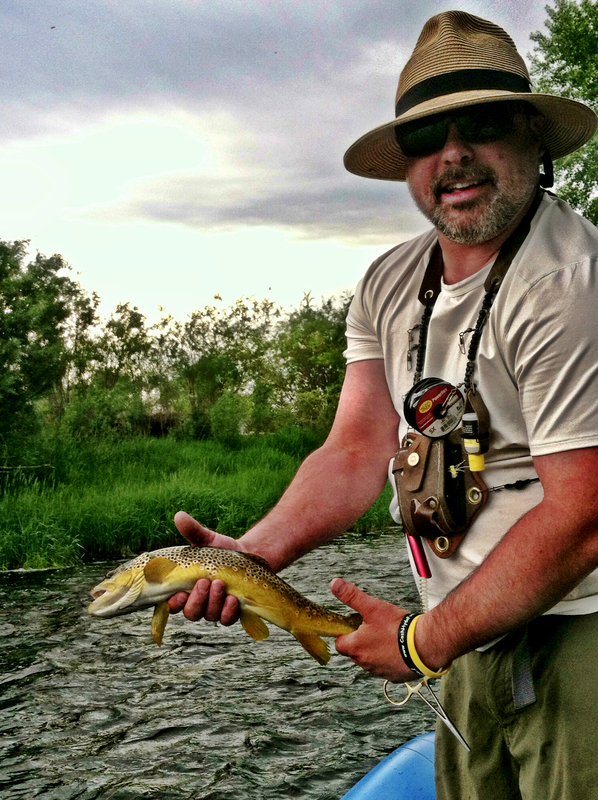 Michael Bias, Executive Director of the Big Hole River Foundation, is up to his ears in bugs! For the past several years he and his colleagues have been collecting bug samples in order to better understand the health of the river. About this year he says,"Definitely better water means better bugs." If conditions continue like they've been, the next three years for stone flies will be better than the last three because stoneflies live for 3 years as nymphs. In other words this should be a great year because we will see the first salmon flies since good water years started. Those of you who have been with us in past years are familiar with the Silver Bridge to Divide section of the river. It is just over a mile long pin-ball field of boulders and requires navigation of a tricky and often dangerous diversion dam. 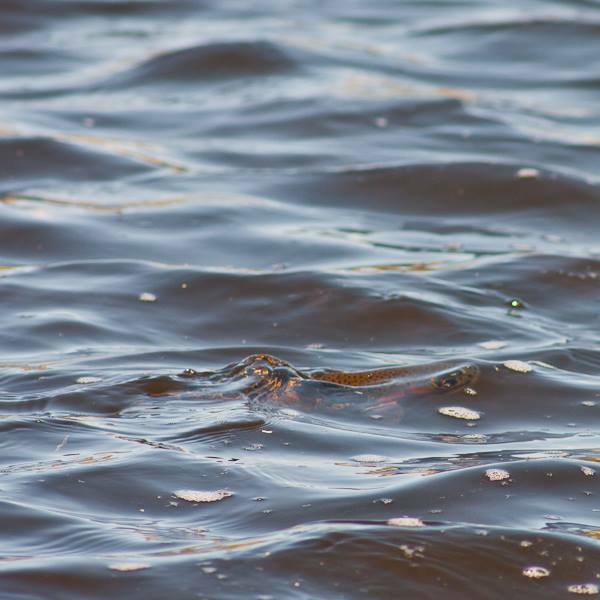 Though the fishing can be excellent in this section, many anglers opt not to mess with the 'keeper wave' on the low side of the dam which has sunk a handful of boats over the years. Last summer, Silver Bow County and the State of Montana revamped the dam and created a safe passage for floaters. More importantly, the new dam allows trout to travel up and down the river naturally. As a result of the drought years, the Clark Canyon reservoir, which feeds the Beaverhead, experienced significant drops in water level. In an effort to retain water the dam discharge was reduced to 50 cubic feet per second in the winter and as feared, the browns and rainbow trout suffered. For the past two winters however, the dam discharge has been allowed to remain at a healthy 250 cfs. The fish showed improvement last summer and the reports so far this spring are great. The Beav has returned to its trophy status. We look forward to the hard fighting, football shaped pigs this river produces. Don't be alarmed, nothing but the name has changed. 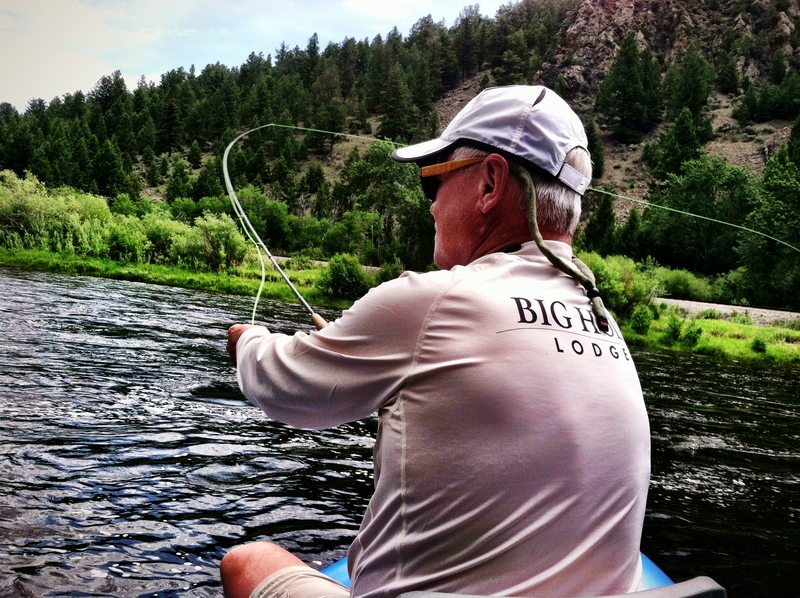 Craig Fellin Outfitters & Big Hole Lodge is now Big Hole Lodge. We have decided to trim the logo for better fit on apparel and ease of conversational use. The timing makes sense as we redevelop our company website, set to launch later this month. Check back at flyfishinglodge.com!